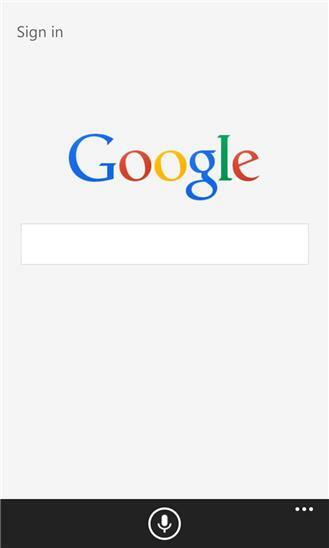 Search faster and easier with the Google Search app for Windows Phone. With Google Search, you can talk to Google and understand the world’s people, places and things. FEATURES: -Voice Search: search by voice, skip the typing and get your results easier and faster. -Search Nearby: Find places near you without typing your location. -Autocomplete: get search predictions so you can get to where you want faster. WHAT’S NEW: -Sign in to your Google account within the app. 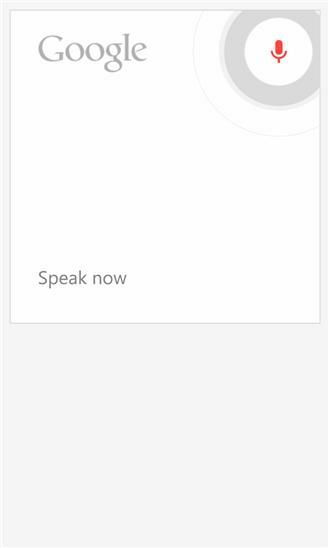 -On Windows Phone 8, your voice commands are instantly displayed on the screen. -Improved Google Image viewing. -Several other bug fixes and resolution enhancements.